Hey beauties! Hope you're all well! Sooo it was my Birthday on Wednesday 27th (in which I turned 27, bork), and I was lucky enough to receive some wonderful gifts, including the Urban Decay Naked 3 Palette, lots of Lush goodies, Soap & Glory products, Ciaté Nail Polishes, Chocolates, Disney Blu Rays, a canny amount of money and last but certainly not least, a brand new DSLR Camera. 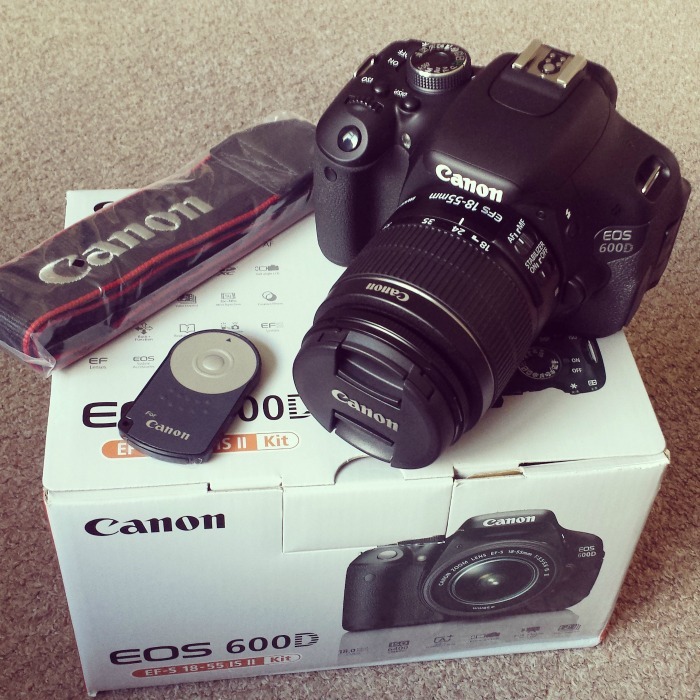 The Canon EOS 600d. Ohhhh yes! Blogging (and life in general) just got a whole lot better! I've had my eye on this beauty for months and months now, as it seems to be the absolute favourite for bloggers and budding photographers! I did a lot of research before finally deciding that this was the best for me, as I'm a complete beginner when it comes to DSLR's, and it was a great deal! My Hubby bought it for me and it's honestly the best birthday present ever! Obviously I didn't want it just for blogging, though. Having a young family with another on the way, I think this will be the perfect tool to capture those younger years, as it does amazing videos as well as excellent quality photos. Now I've just gotta learn how to use it! If anyone has any tips/tricks I'd love to hear them. I have the basic 18-55mm lens kit at the moment so I'm gonna stick with that for now until I know what I'm doing and what my lens needs are! I've been practising with it in Manual mode, as I really don't want to get stuck in the 'auto rut'.